Now official apprentices of the Lybrariad, Dorris and Marcus have joined Ebba in the immense time-folding labyrinth known as Petrarch’s Library for the Summer Quarter. Dorrie is eager to do well at her practicums, and prove her worth as an apprentice, but before she can choose between “Spears, Axes, and Cats: Throwing Objects with Precision and Flair” and “First and Last Aid: When No One Else Is Coming”, mistakes made by Dorrie in the past cause trouble for the lybrarians. The Foundation, once nearly destroyed by the Lybrariad, now has the means to rise from the ashes, and disappear reading and writing from the world. To make sure it succeeds, the Foundation sets in motion a dark plan to increase the power of a cruel figure from the fifteenth century. To stop the Foundation, Dorrie, Marcus and Ebba will have to burglarize Aristotle, gather information among the suffragists and anti-suffragists of 1912 London, and risk their lives to wrest a powerful weapon out of the Foundation’s hands – all while upholding the Lybrariad’s first principle of protecting all writing, appreciated or despised. If they fail, reading and writing will only be the first things to disappear. "One last plot twist at the very end should wind up being very important in the third book, and Lilah and I actually gasped at the revelation and then sighed over having to wait another year or so for the third book...Highly recommended." 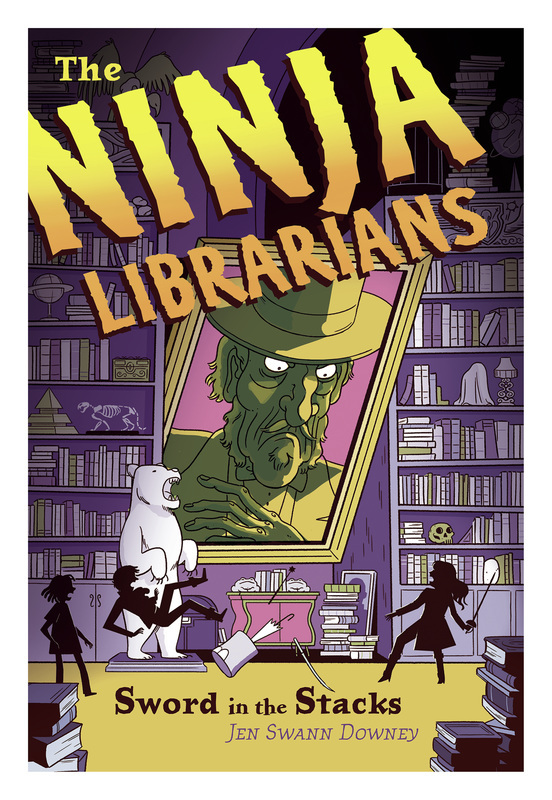 "The concept of intellectual freedom is a driving point for the narrative and provides an extraordinary teaching point for readers of any age...There is a great sense of adventure and mystery plus a good deal of humor which will appeal to many young readers. Any history buff or library lover will get a kick out of the premise and the deeper meaning regarding the importance of libraries and intellectual freedom makes this a notable new release." - Linsey Milillo, American Library Association OIF blog​. Sword in the Stacks & The Accidental Keyhand can be purchased through your local bookseller or Amazon. "...a wildly entertaining, fun, fast read with food for the mind as well." "I definitely recommend THE SWORD IN THE STACKS to lovers of adventure stories, to readers who want to be immersed in new worlds, to boys and girls who want to read kid characters from diverse times, places, and ethnicities, and to people who love a good story that makes them think. We need middle-grade characters like Dorrie and Ebba. We need their adventures, but even more, we need the tricky, sticky problems they face when one is charged with protecting the free transmission of all ideas."